Basu, the former chief economic adviser to the Manmohan Singh government, also raised concerns over unmistakable signs of India's economy slowing down over the last few years. 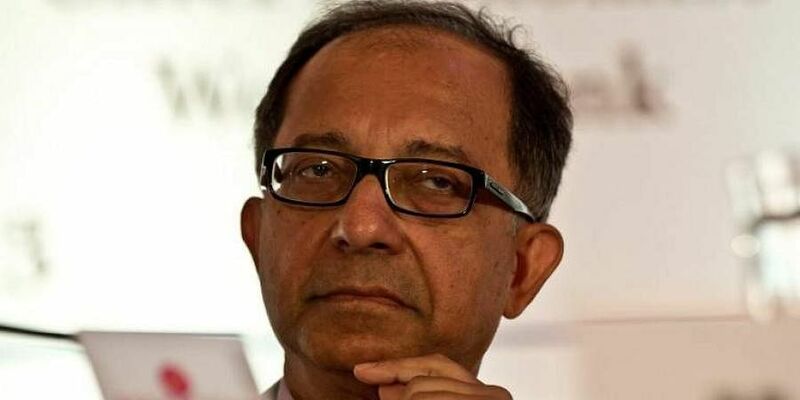 AHMEDABAD: Noted economist Kaushik Basu Saturday urged the government to make available "employment data" even if it is "critical" so that corrective action could be taken. He also raised concerns over "unmistakable signs" of India's economy "slowing down over the last few years". "Given that India has a remarkable global reputation (on statistical data), we don't want that to be damaged. Actually, in general, data is fine but it is the employment data that we have to work harder on and make available, even when it is critical," Basu said. Basu, the former chief economic adviser to the Manmohan Singh government, was speaking to reporters on the sidelines of the 54th convocation of Indian Institute of Management-Ahmedabad. The former chief economist of the World Bank said the data will help us "see what's happening and then take corrective action". Basu's comments come at a time when a group of 108 economists and social scientists Thursday expressed concerns over "political interference" in influencing statistical data in India. The group had called for a restoration of "institutional independence" and integrity to the statistical organisations. In his convocation address, Basu said, "It is unfortunate that data on unemployment is being held back. The concern about this, expressed recently by 108 leading economists, is genuine." Basu said India has always stood out for the "quality and integrity" of its statistical system. "We must take care not to damage this reputation. None of all this is necessary. India's fundamentals are strong and we should be doing much better. The two reasons why this is happening are a shortage of professionalism and a disproportionate focus on big businesses and their interests," he said. "There are unmistakable signs of India's economy slowing down over the last few years. The agriculture sector is in recession. The most worrying is the jobs situation," he said. "If you put together all the piecemeal data coming in, it is clear that our workers are suffering greatly, with the unemployment rate at over 7 per cent, according to the Centre for Monitoring the Indian Economy, and youth unemployment at 16 per cent, as per a study by Azim Premji University," he said. "The latest data on industrial growth, pertaining to January 2019, shows that India's industry is barely growing, with the growth rate down to 1.7 per cent. In the year 2017-18, India's exports were a little less than what the country exported in 2013-14, which means virtually zero per cent growth in exports on average," he said. Basu also termed "demonetisation" as a policy decision "which has hurt India's growth". It would not have occurred if there were policymakers who paid heed to this simple axiom that for every policy, one has to anticipate how ordinary individuals and also bureaucrats will respond, he said. "That is the key to designing successful policy mechanisms," he told the graduating students. IIM-A director Errol D'Souza told reporters that the board of the institute had decided to raise the fee of its flagship two-year post-graduate programme in management by 4.5 per cent to Rs 22 lakh for the academic year 2019-21.